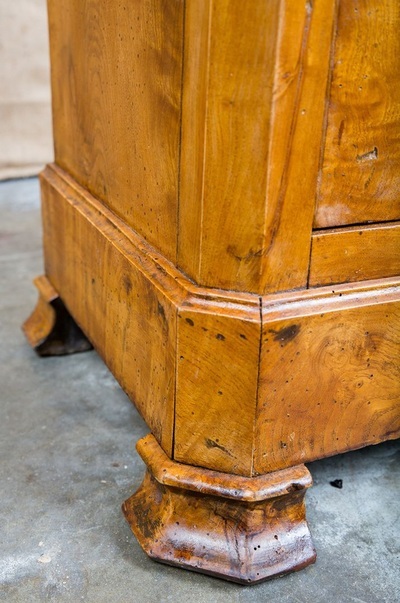 Louis Philippe period side table. 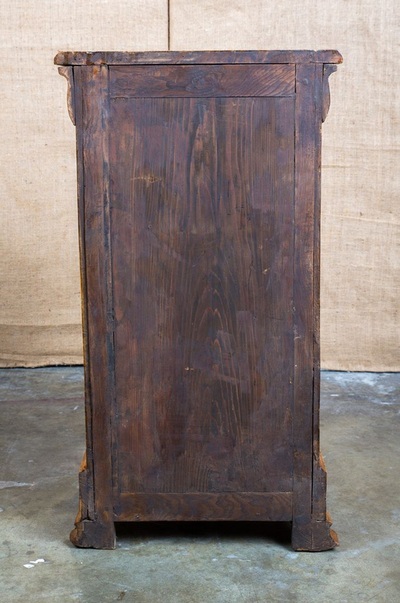 Circa 1840s. 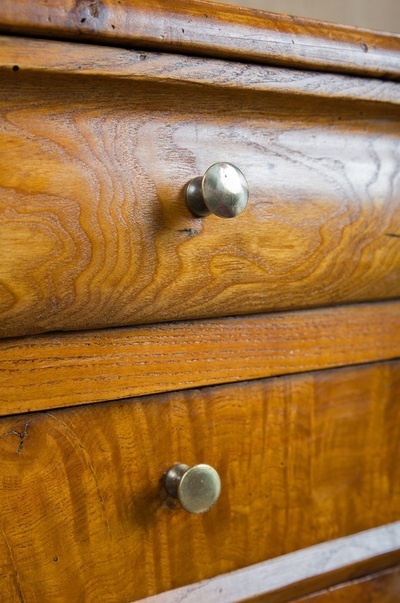 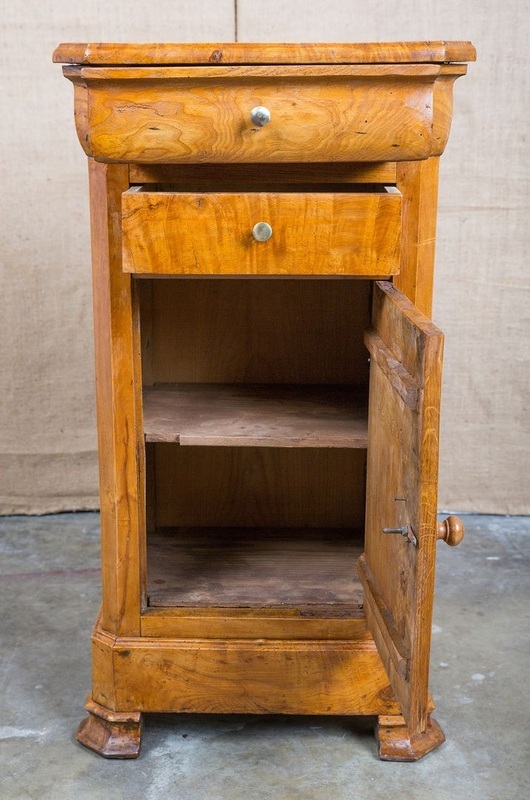 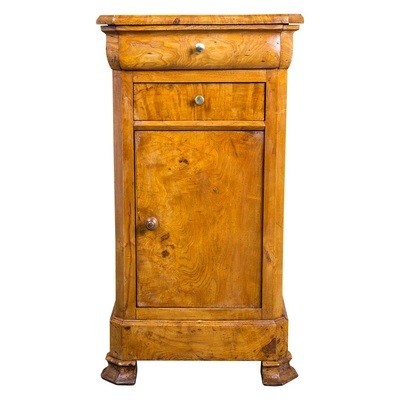 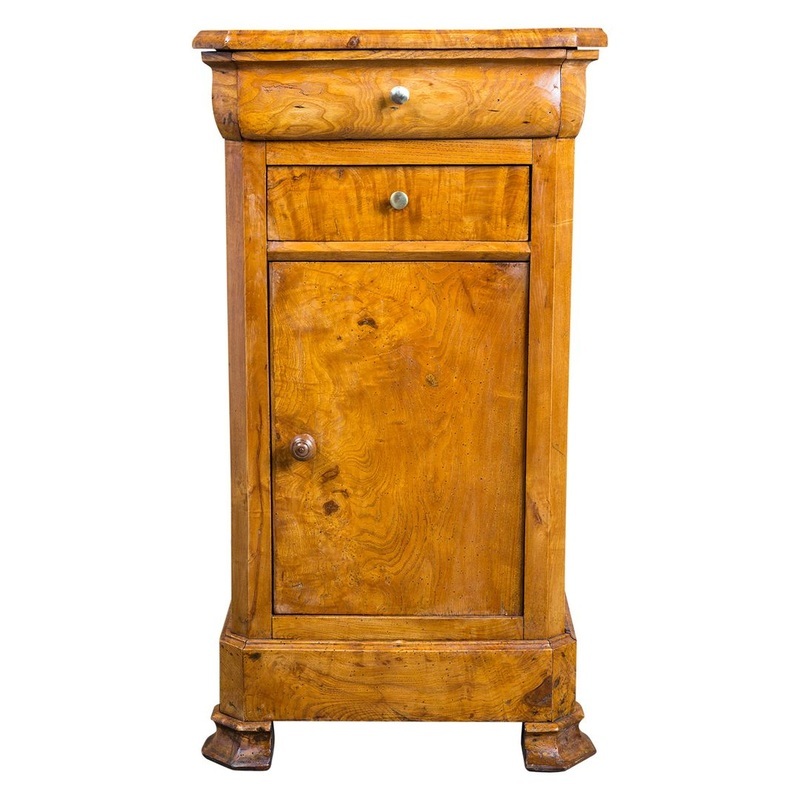 Burled chestnut Louis Philippe period cabinet with two drawers above a cupboard door with single interior shelf. Raised on a plinth base on stepped ogee feet. 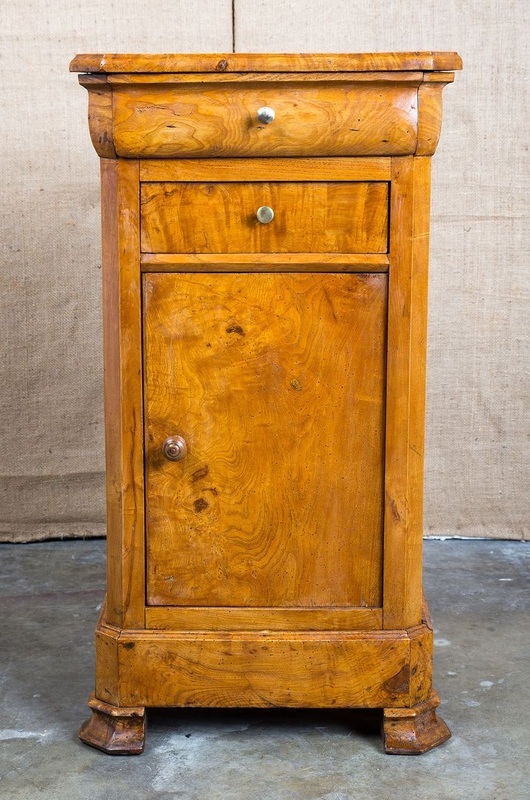 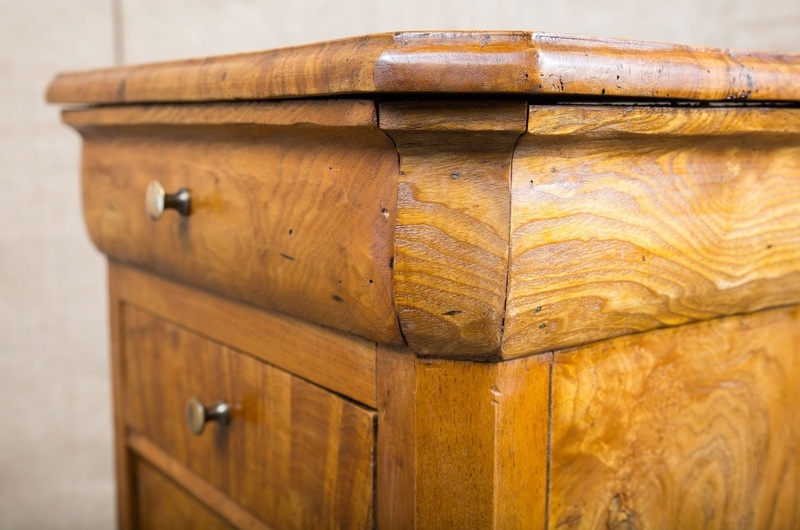 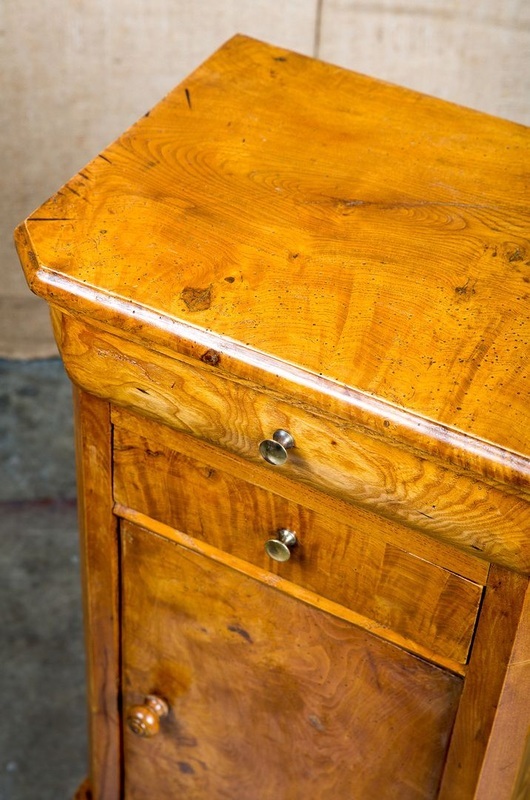 Originally a nightstand, this handsome piece would make an ideal side table as well. Nantes, France.